Art and installation by Delaine and Damian Le Bas and Alex Michon, photo-installation by Julia Horbaschk. “I’m literally putting Gypsies on the map”, Damian Le Bas would say of his cartographic representations of Europe. have been showing throughout Europe since 2011 encompasses their broader protest against the phantom of fascism they believe to be stalking the continent. The title itself is taken from a Clash song, a band well known for taking an active anti-fascist stance. wake-up call to remind us that the human soul has no borders. 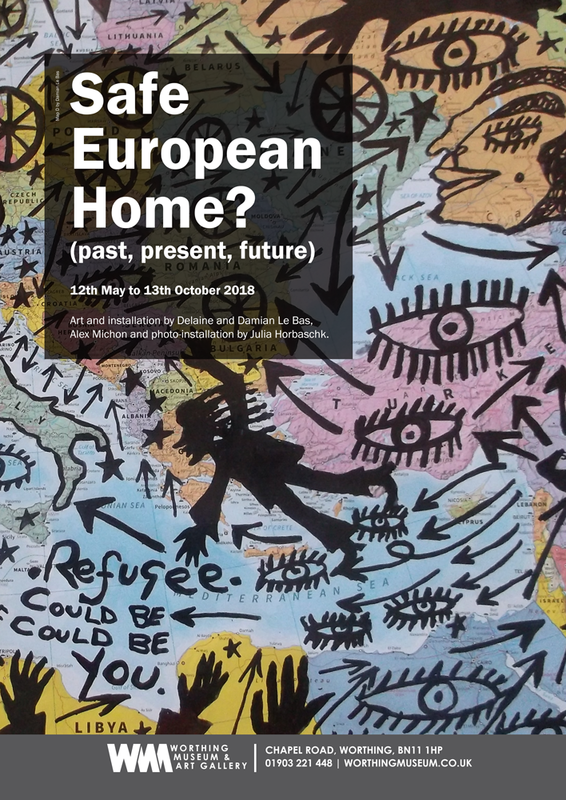 First shown outside the parliament building in Vienna in 2011 Safe European Home? comes back to the artists home town in Worthing. whose passion, spirit and revolutionary commitment lives on through his work. The journey continues. recently revised body of work titled Labour of Love by Julia Horbaschk.